In a recent blog post I reported on IFA+ and the issues that appliance manufacturers are facing when trying to connect their things. In this post, I’d like to share what I spoke about at IFA+. Rather than focusing on promoting Web of Things best practices, which are slowly but steadily being adopted by many communities out there, this time we went for a refreshing look at the IoT @ home topic. Those of you that have used the EVRYTHNG cloud and tools probably know that one of the unique aspects of our Software as a Service platform is that through a single system, we provide identity and access management, flexible data and meta-data storage, custom business rules and fine-grained analytics and SDKs (Software Development Kits) for manufacturers of smart appliances – as well as the next generation of Fast Moving Consumer Goods (FMCG), and Consumer Packaged Goods (CPG). To give you an indication of the opportunity presented in the FMCG sector, research we conducted in 2013 revealed that 3,040 billion FMCG products had the capability of being connected to the web, as opposed to 6.5 billion consumer electronic devices. Additionally, the smart appliances side of the coin is well covered nowadays, with many new connected appliances appearing on the market on a daily basis. Therefore, I wanted to reflect on the other side of the IoT spectrum, the side of what we might call “dumb products” (i.e. 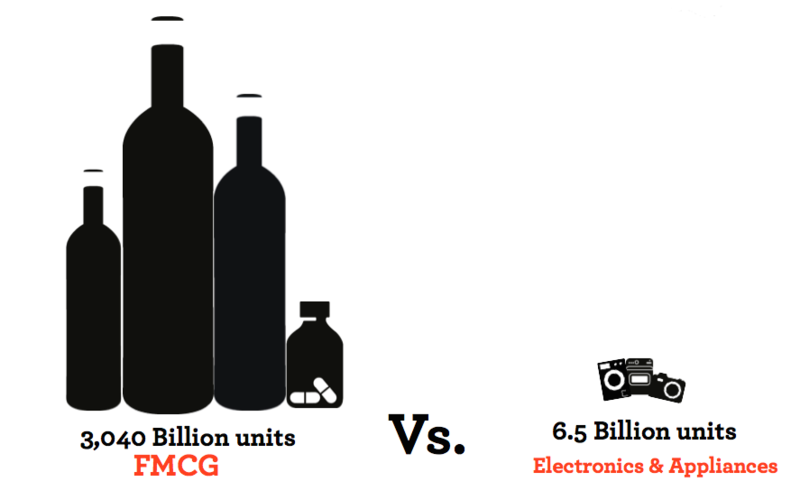 FMCG & CPG), as opposed to connected things – which are also often called “smart things”. Calling them dumb just because they are not connected might not really be fair, but the whole point is that we need to do them justice: showing that in a home context, when talking to appliances, they can become smart too. 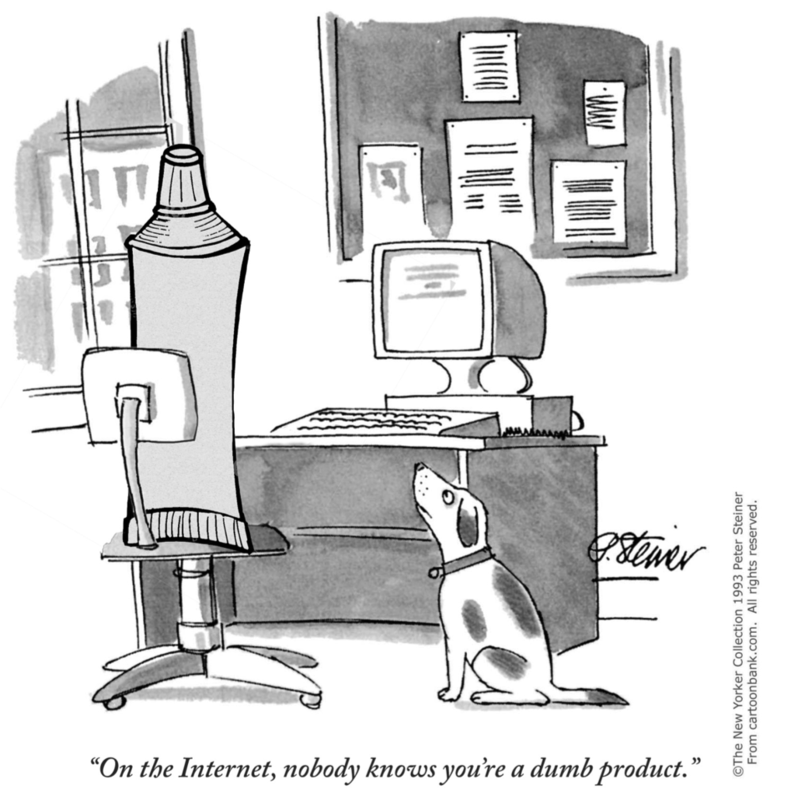 One remark I often get when talking about FMCG products and the IoT is that they don’t belong. Well as a matter of fact, they really do. The initial definition of IoT came from a number of researchers at Auto-ID Labs: a network of labs around the world working on the Automatic IDentification of objects. Back in 1999 when the term “Internet of Things” was coined, their vision of the IoT was a world of tagged objects, distributed readers and standards that would create a world-wide network of tagged objects, known as the EPCNetwork. So, yes, dumb objects belong to the IoT too. The first – and mandatory – step to make them part of the IoT is to ensure they can at the very least be identified by smarter things. This can be achieved using several automatic identification technologies. Some of them require line of sight (and hence quite often human intervention) such as the well-known 1D barcodes (e.g. EANs, UPCs), QR codes or image recognition. Other techniques allow for identifying objects without line of sight and quite often with very little to no human intervention: NFC tags (they require touch), long range RFID (e.g. EPC UHF), BLE and other iBeacons. All of these Auto-ID techniques can store EVRYTHNG’s unique and crypto-secure identities, and are supported by our platform and SDKs – a thorough description of how they work isn’t the goal of this post however, therefore see this presentation for a more detailed explanation. Instead let’s assume a (near) future where all FMCG products are tagged, and explore a few exciting opportunities this may bring for smarter homes. We all know that smart thermostats are good because they might help us reduce our energy consumption. Well it turns out that laundry detergents could too, if used correctly. Consider a laundry detergent with a unique SKU (Stock Keeping Unit or Product in the EVRYTHNG world) in the form of a QR – or better – NFC tag. Then consider a laundry machine that can read it, resolve it (e.g. through the EVRYTHNG cloud) and set itself to the right washing mode, with the right temperature, using the right amount of detergent. Imagine a new experience blending virtual and physical gifts around the Christmas tree: put a unique QR or NFC tag on a bottle of whiskey and you can start adding virtual gifts such as personalised videos to your products. 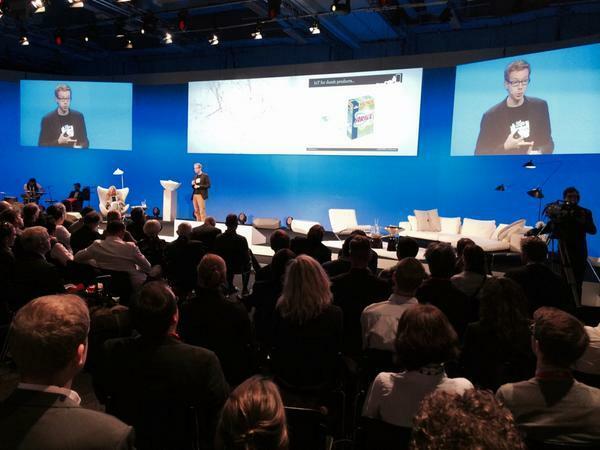 The smart fridge is probably the most mocked and cited example of IoT and smart homes. There are many reasons for this, but one of them is that as long as the products aren’t smart, the fridge won’t really be either. Not fully convinced yet? Well then let’s add some sensory capabilities to our smart labels, such as a temperature sensor. Then, your fridge could tell you that eating these strawberries might not be such a good idea after all because they were stored at a temperature way above the threshold for too long. Tailored insurance, based on objects you have scanned and actually have in your home; and smart buttons that can order products for you; attaching a small BLE (Bluetooth low-energy) sensor to your shoes, keys or bags – and your tablet or smart watch can tell you where they are, or alert you that you’ve left your gym gear at home. At this point, you should be worrying about one aspect of these use-cases: cost. FMCG are fast moving by definition, and sold with smaller price margins. So the likelihood of putting a 10 cent tag on a pack of laundry liquid is unlikely. Agreed, but there is hope. Then, as with all things in technology, prices are going down as we invent amazing new techniques and processes. You might for example have a read about our exciting partnership with ThinFilm, who print NFC tags instead of producing them the expensive, traditional way (i.e. as any other electronic component). Thinfilm are currently working on a version of their NFC tags that will support printer sensors and batteries.